It’s still campfire season! Time to get outside and cook over a fire. Whether it’s marshmallows for s’mores or hotdogs on a skewer you are going to need a very long campfire stick. 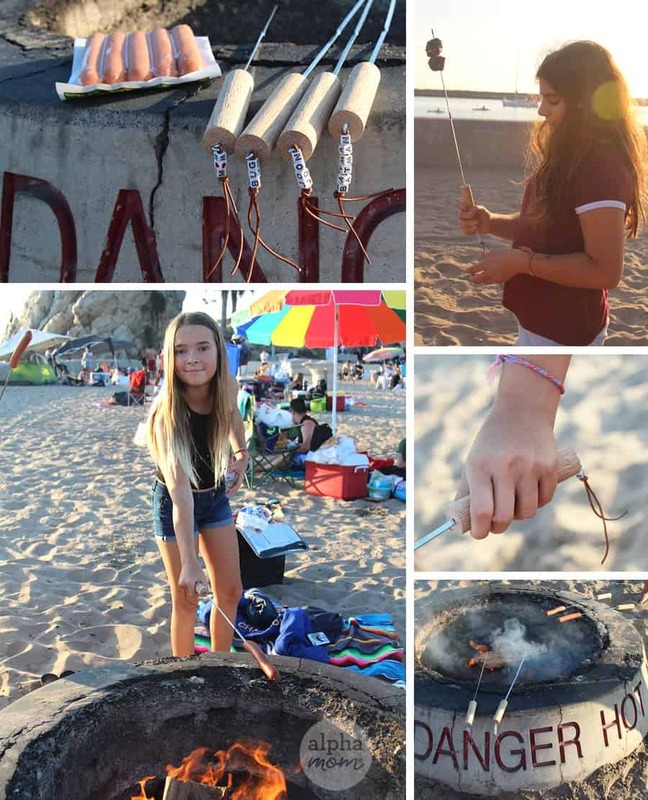 We made some personalized campfire sticks for the entire family as keepsakes for this summer (they also make for great DIY gifts) . 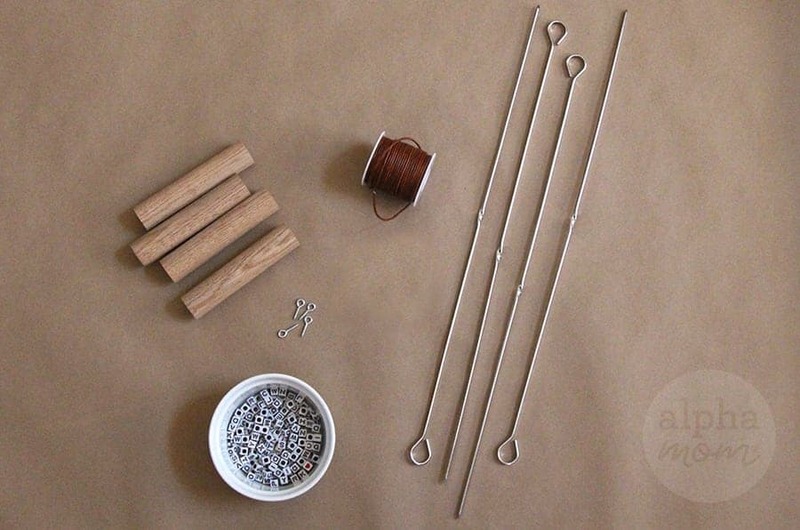 You might be able to find straight campfire skewers without loops on the end but we couldn’t. 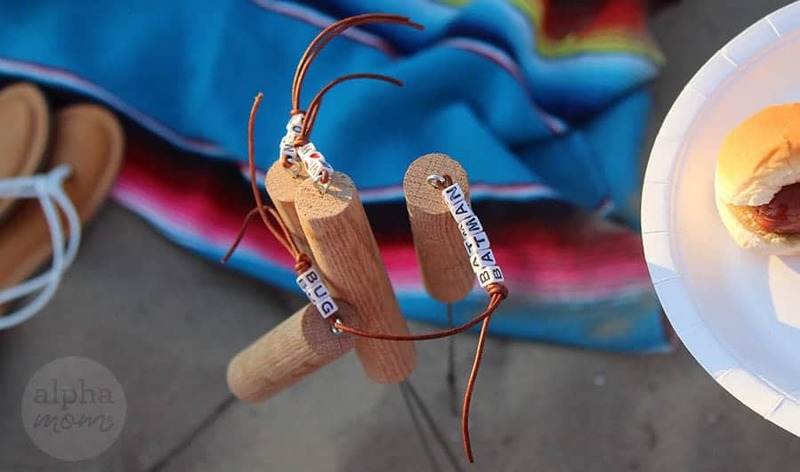 We thought about making them out of wire coat hangers but they’ve been known to be toxic so we opted to just buy regular skewers and lop off the loop handle on the end for our customized handles instead. It’s worth the extra effort and actually is much more comfortable to hold. First, cut off the wire loop with your strong wire cutters. Then drill a 3-inch hole into the wooden dowel. Insert the now loop-less skewer and push it down as far as it will go. 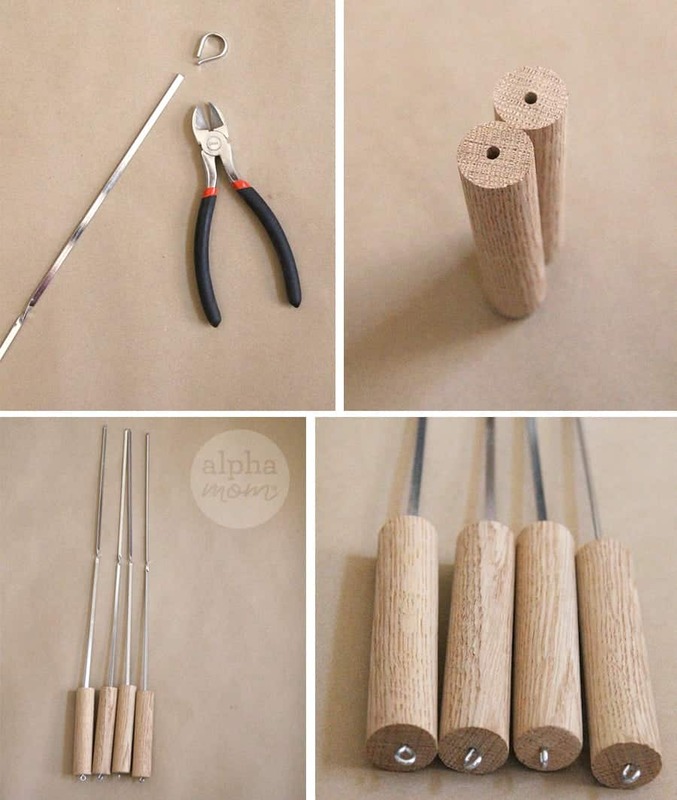 Very important: to make sure the wooden dowel stays secure add a dot or two of super glue. Screw in your eye hook onto the other end. 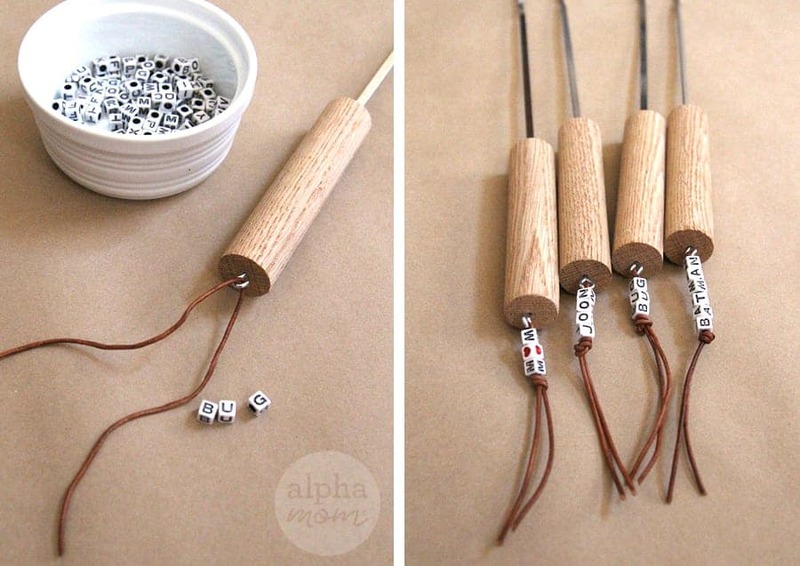 Slip your twine through the eye hook and then thread personalized letters through the doubled twine. Tie it at the end with a secure knot. Now you are ready for your cook out! There’s nothing like sharing a campfire with your own personalized skewers! You’ll never have to share again! Just kidding. Sharing is always fun. But having your own personal skewer is also fun.